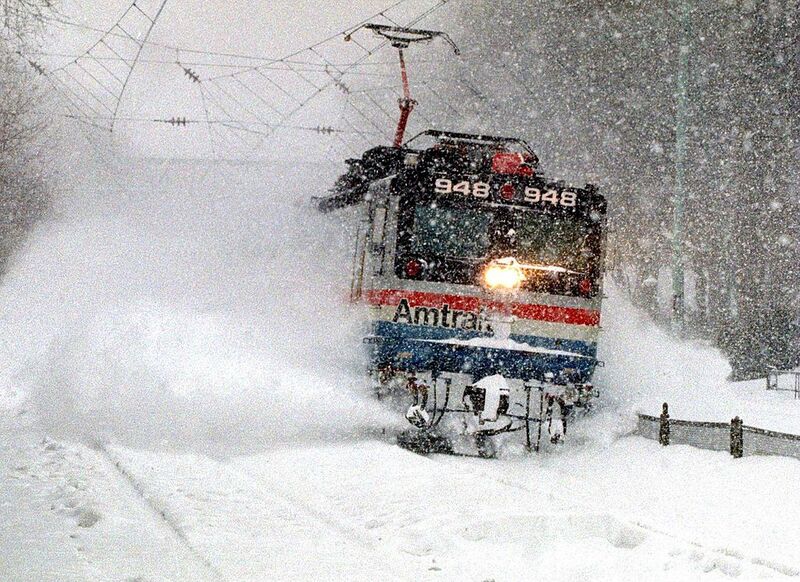 Beware, winter loathers: This clip of an Amtrak train blasting commuters with snow that hit the East Coast last week will probably leave you pissed off and shivering from the sheer hatred of cold weather. After watching this video, we could’ve sworn we heard the anti-cold weather segment of the population collectively scream, “We cannot wait for winter to be over!” Ugh, we feel your pain and seek mercy from Mother Nature on your behalf. Until that happens, we’re going to kindly advise travelers who find themselves trying to get through the dreadful aftermath of the Blizzard of 2017 to avoid standing close to the train platform in order to avoid being slammed with a huge pile of snow like these unfortunate passengers at New York’s Rhinecliff station. In addition to being majorly frightening, this snow-flying incident was also very dangerous. A witness told NBC New York that many of the waiting passengers were knocked to the ground by the impact of the snow, and one person even suffered a head injury. According to Craig Oleszewski — the man who filmed the video — the train seemingly overshot the platform. This slow-motion video offers a close-up look at the snow pile as the train approached the station. "We always advise customers to stand back from the platform edge as trains approach and this was an unusual occurrence considering the large amount of snow on the tracks." SIGHS. And the countdown for winter’s shenanigans to come to an end continues.